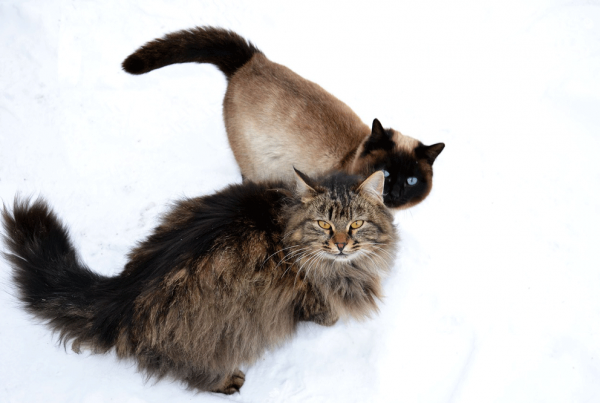 Perhaps you’ve read or heard to think twice about feeding your Siberian dry cat food, also referred to as kibble, and there’s good reason to. Cats are by nature obligate carnivores, meaning that they must consume a primarily meat diet in order to obtain all the nutrients they need. Their short digestive tracts and lack of an enzyme to break down plants make them unfit for hight carb or plant diets. In fact, they need little or no carbohydrates to survive, at most about 5% of their total diet. 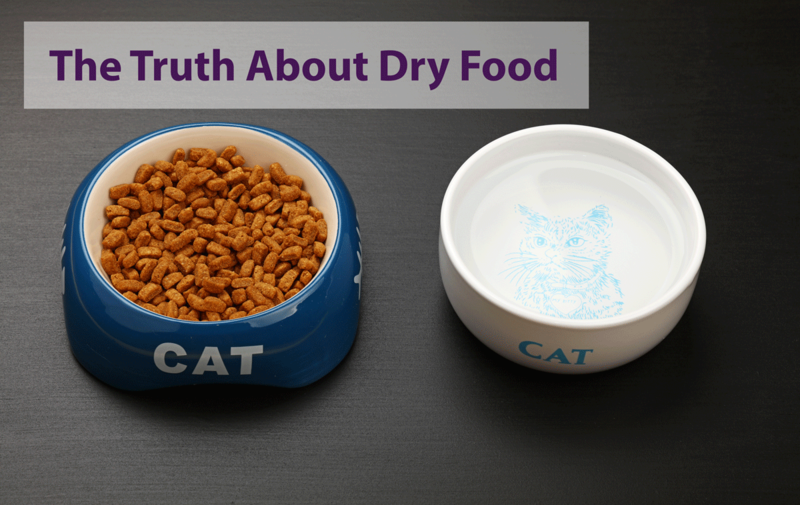 Although most dry cat food will claim to be “balanced and nutritious”, nothing could be further from the truth. Dry cat food is full of grains, fillers and who knows what else. It’s the cat equivalent of eating sugary granola bars or cereal; it’s not something you’d want them to be consuming all day. Much like the obesity epidemic in the Western World, dry cat food can cause your cat to gain excess weight, especially if you leave it out all day. Cats aren’t grazing animals, and are built to eat bigger, less frequent meals as they hunt for small game. Constant consumption of high amounts of sugar can lead to insulin resistance and diabetes, just like in humans, along with other metabolic and inflammatory diseases. Cats naturally get a lot of their water intake through food, which a raw meat or wet food diet can provide (wild game consists of about 65-80% water and wet food about 78%). 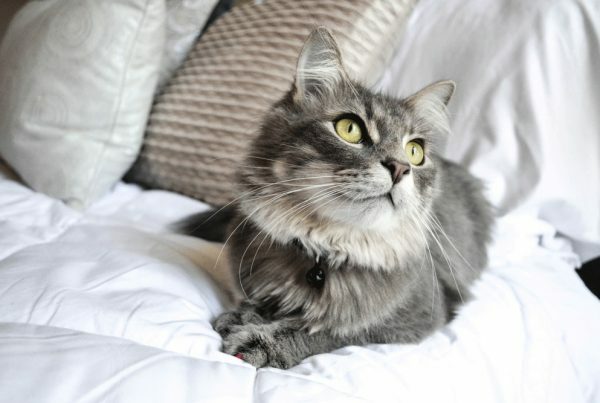 Dry food is dehydrating, containing only 10% water, and although your cat can make up some of the loss through drinking from their water bowl or fountain, it’s still usually not enough. 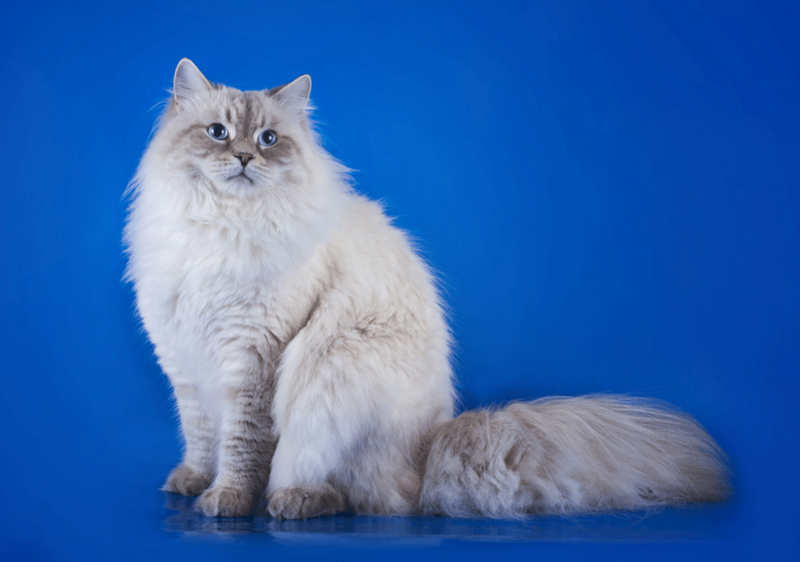 This dehydration leads to bladder and kidney problems, and many cats will pass away from kidney failure later in life, likely due to eating diets heavy in dry food. Because dry cat food is not something a cat would naturally want to eat, manufacturers oftentimes add flavors and odors to make the food more enticing. Not only that, but dry foods can be contaminated with molds and fungi from improper storage or being left out all day. Cleaning Teeth: Truth or Myth? The current consensus seems to agree dry food does not clean teeth, or at least enough to justify serving dry cat food. The idea behind dry food cleaning teeth proposes that as the cat chews the food and breaks down the kibble, the pieces will rub against their teeth and acts like a toothbrush. 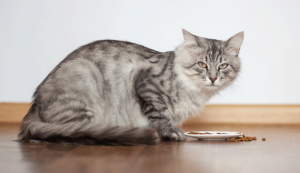 However, what has more often been observed in cats is that they don’t actually chew their food that much, but instead swallow pieces whole or nearly whole. And just like how sugary foods will cause cavities in humans, the high carbohydrate content of dry cat food can cause similar issues in cats. 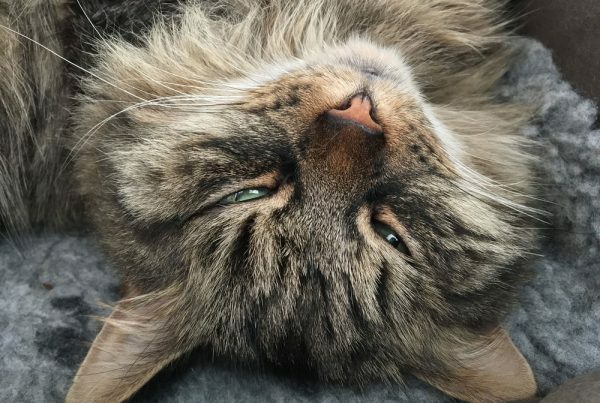 The overwhelming verdict on dry food is that it’s detrimental to your cat’s health, but typically the convenience and price stand in the way of change. Your cat won’t argue, either, because they can’t. But don’t fool yourself in thinking you’re doing them a favor by only providing low quality dry food as their primary source of nutrition. Alternatives to consider include occasional dry food feeding when you’re out of town or looking into high end brands, but even those won’t be quite the same as a raw or wet food diet.